Netflix has updated its TV app with a new look focusing more on larger images taking full advantage of the larger screen real-estate. This will be a first for Netflix as the software rollout affects all devices that view Netflix on the big screen so it'll appear on TVs set-top boxes and Blu-ray players that have Netflix installed. According to the company the majority of all viewing within Netflix takes place on the big screen so a redesign that takes this into account was more a 'when' not an 'if'. Netflix has been confirmed as arriving on both the Sony PS4 and the Microsoft Xbox One sporting HD playback along with the new interface. The update will take effect in the next couple of weeks first launching on next-gen consoles and the Roku 3 whilst remaining Smart TVs will get the update in the next few months. 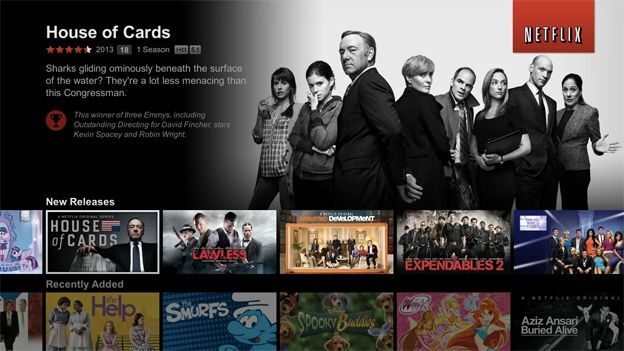 Most recently Netflix introduced a new account system which let you create multiple users within your account, each user would then have content tailored to them.